You're all set! Confirm you want deals for EXEK Recruiters, Ltd in -zip-? 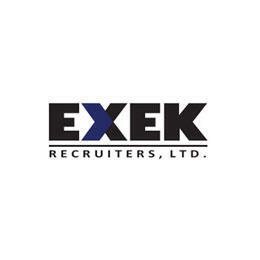 EXEK Recruiters, Ltd. is a family-owned and operated recruitment firm, specializing in the placement of professionals in the manufacturing, defense, and health care (orthotics & prosthetics) industries. In the 25+ years since EXEK's founding, our searches have resulted in the successful placement of engineers, clinicians, administrative staff and managers at all levels and in all departments (engineering, manufacturing, sales, marketing, procurement, and materials management) of our client companies, across the United States.